On our list of adventures to have with our buddy Colin, perhaps one of the geekier ones involved a visit to the Gault Site, one of the most significant archaeological sites in the world. That’s right…the world. I’m not just spouting superlatives. 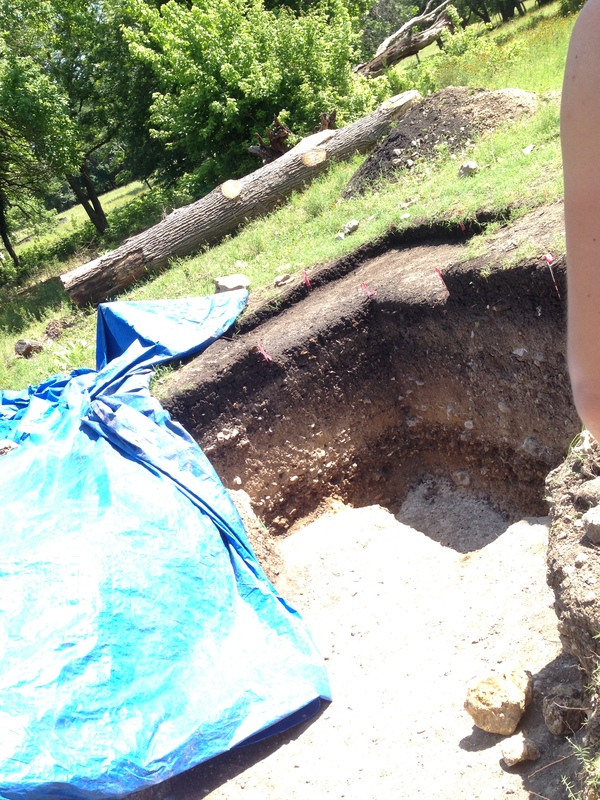 Apparently people come from around the world to study and work on this failed farm outside of Florence, Texas that contained a treasure trove of early human debris. Humans have been leaving our tools laying around for ages. Our adventure began at 6:50 am, when our 9-person caravan set out for Florence, a two-hour journey. Ironically, Colin could not make it (he was having a totally different adventure that he will write about himself), but his sporting girlfriend, Jenna, rustled up a replacement. The tour through the Gault Site, an unassuming ranch gate nestled between quarries on the scrubby Edward’s escarpment, starts slowly. 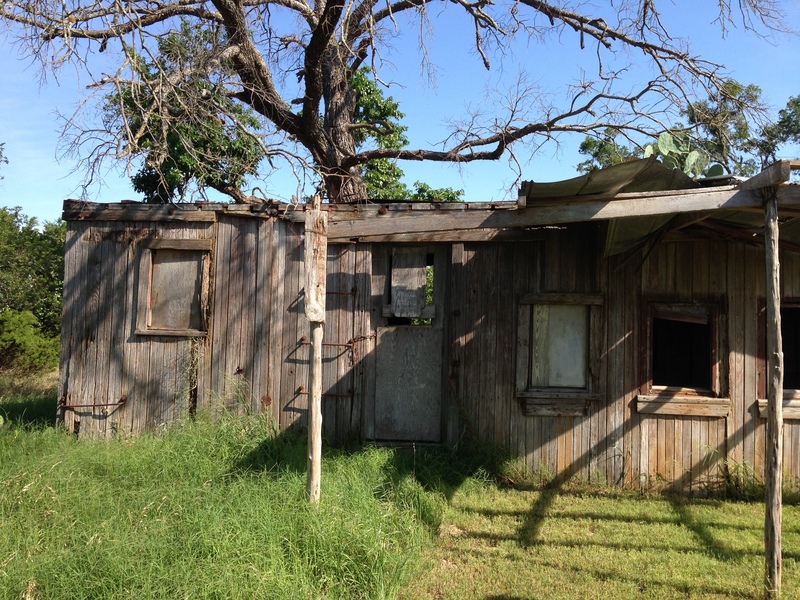 We saw a railroad boxcar which told the history of Florence in it’s ramshackle remains. A cotton boom-town, destroyed by synthetics and boll weevles. The boxcar where the people of Florence once lived. We watched an atlatl demonstration and discussed the importance of maclura pomifera (Bodark trees) before heading into the creek bed where the Gault riches have been found. Gault has yielded, according to our knowledgeable and entertaining guide, three huge surprises. 1) A Columbian Mammoth jawbone with tools nearby. Indicating that the megafauna was hunted and butchered on the site. 2) 2.4 million artifacts (a motherlode by any standard, considering that a successful dig rarely delivers more than 20,000 points, tools, and other artifacts). 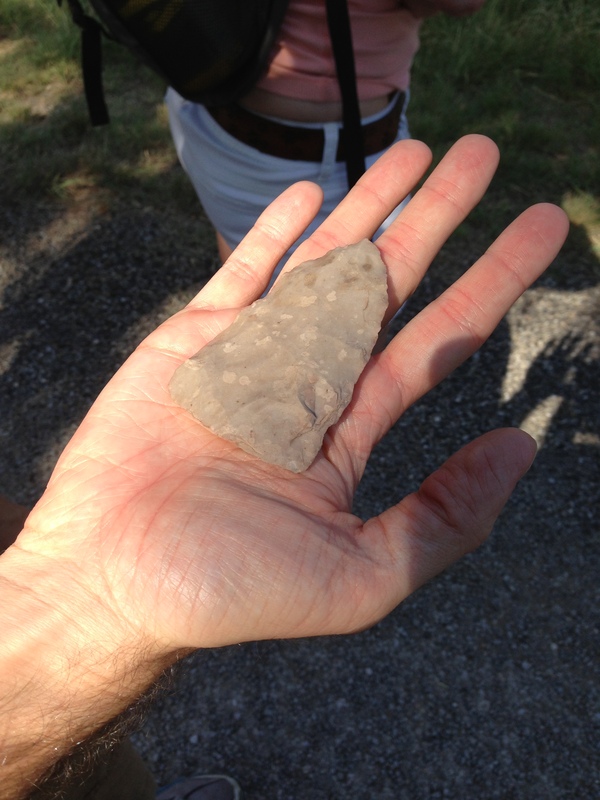 3) The footprint of the oldest known house in North America. What’s more, while it is the largest Clovis (13,000-9,000 years ago) site on record, perhaps a more significant contribution is evidence of human life before Clovis. It flies in the face of the theory that human being arrived in the Americas by way of an ice bridge connecting Russia and Alaska. It implies coastal arrival, which would require far more sophistication than the walking theory. The grand finale of the tour was the tent. 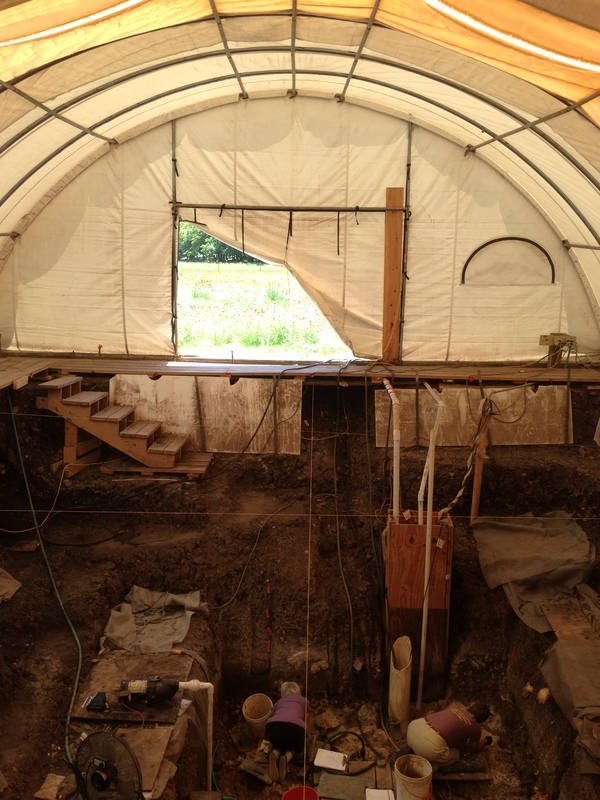 Archaeologists are excavating down to the bedrock, where springs flow like exposed veins. The meticulous nature of science is on full display as volunteers scrape away each centimeter-deep layer with a bamboo scrapper and a plastic trowel the size of a toothbrush. Since 2007 they have been scraping away at the earth, cataloging every single artifact and separating rocks and clay out into extensively labeled buckets. It’s always been tempting for me to scoff a little when researchers get going on the habits of prehistorical man and beast. I mean…when I consider how easy it is for me to wrongly interpret evidence of what my own two dogs have been up to…dogs I interact with every day…evidence that is abundant and fresh…and still they mystify me. But after watching the scientific process, hearing the explanations, the forensic technology, and the sheer volume of the data, I was ready to believe them when they told me that these people lived in tiny bands of 10-12, did not inbreed, and hunted alone or in pairs. That the identical looking chert tools were in fact used for entirely different things, one a hide scraper and the other a steak knife. A 17th-century etching of the mission church down the road. 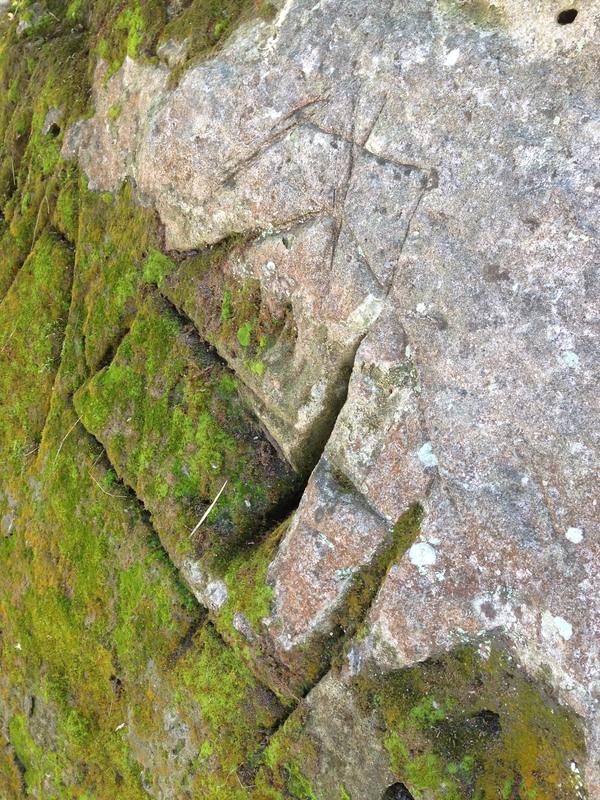 What intrigued me most was our guides assertion that people are people, and have been since pre-history. They take the easy way out, they leave messes, they seek shelter, they innovate. Thinking of our ancient ancestors (well, these were not my ancestors, mine were doing who-knows-what and trying not to freeze up in the tundra) as people with similar instincts and motivations was profound. We haven’t changed that much, and one day, that fact might save our lives. Fascinating insights! Now I want to know more!